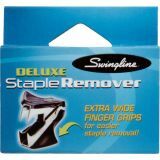 Removes all standard and mini-size staples. 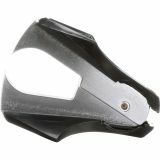 Note: A minimum quantity of 24 must be ordered, and in units of 24 thereafter. 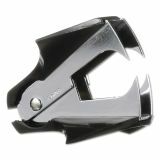 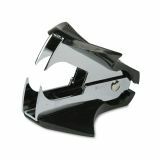 Swingline Deluxe Jaw-Style Staple Remover, Black - Staple remover is designed to operate easily, quickly and efficiently. 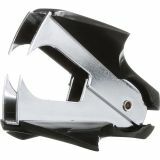 Features extra-wide holding tabs with textured nonslip surface and steel jaws for superior strength.